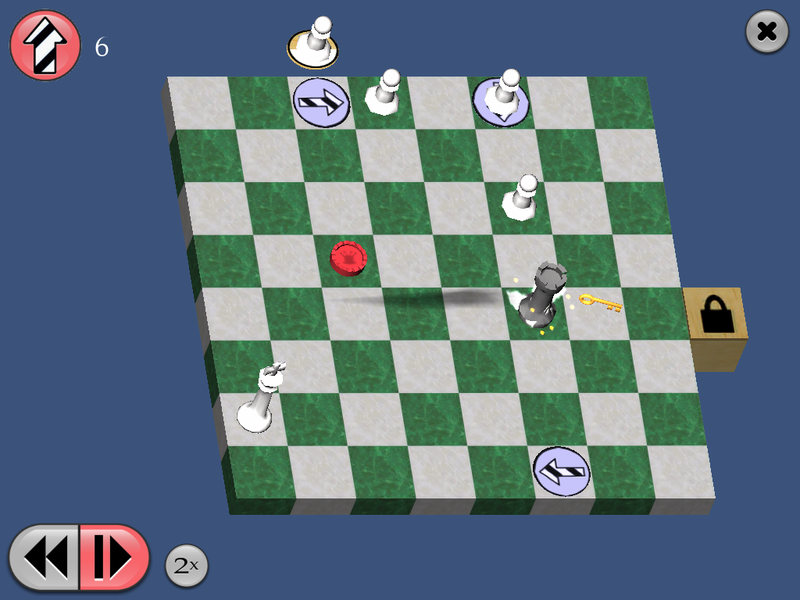 Put on your thinking cap and save the pawns! 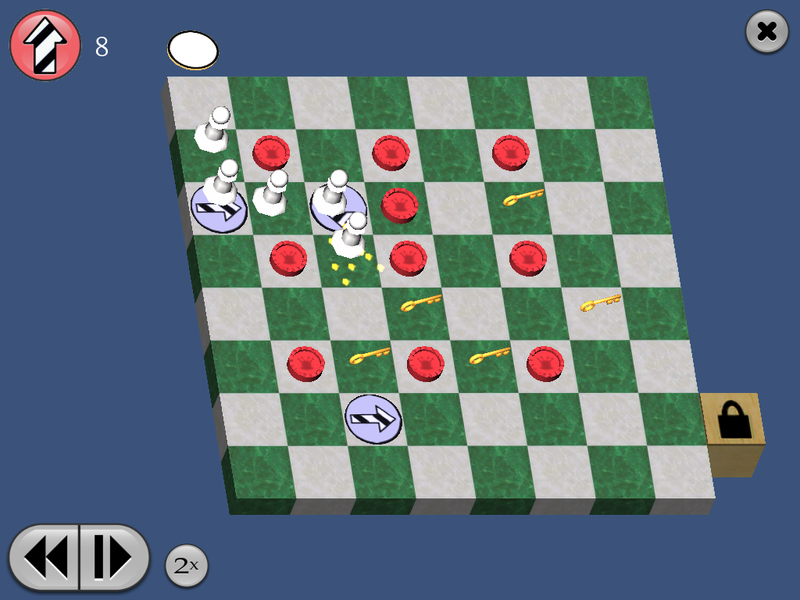 Show the pawns safely to their goal. 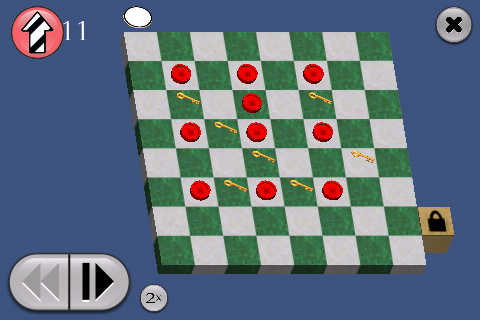 Pick up keys, dodge checkers, and avoid capture by enemy pieces. 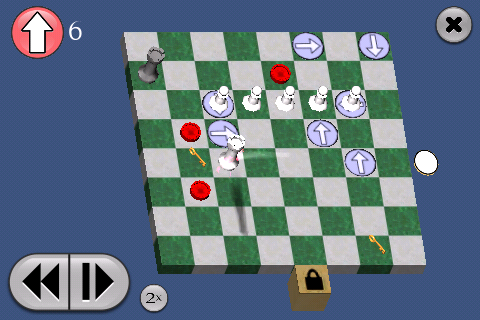 The pawns are counting on you! 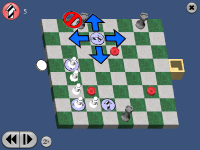 Q: Is this chess? I’m not much of a chess player. A: No. 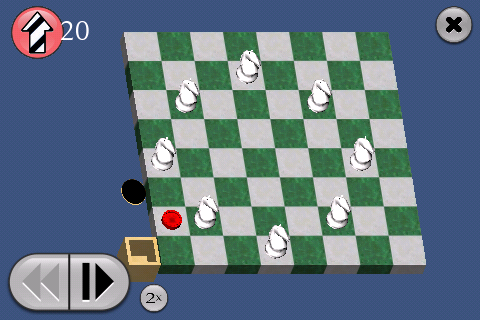 It’s a puzzle game that happens to involve chess pieces. If you know how the little horsey moves, then you are ready to play Pawns! Q: What will this run on? A: This is a universal app that will run on any iPhone, iPod Touch, or iPad. It supports iPhone and iPod retina displays. It requires iOS 3 or greater. Q: What award did Pawns win, anyway? 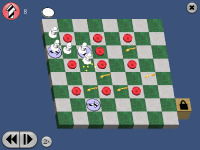 A: The original Pawns was for Mac and Windows. It won 2nd place in the OMG (“Original Mac Games”) contest. But the new iPhone/iPad version is much better! Ask me why. Q: Um, okay. 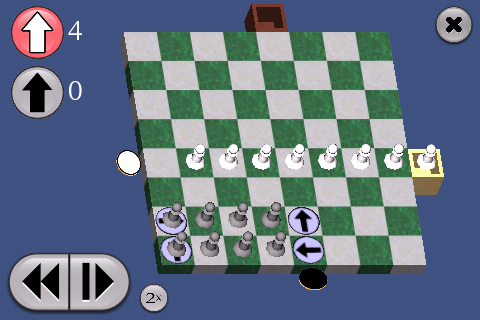 Why is Pawns for iPhone better than the original Mac/Windows version? A: This new version has more puzzles, difficulty ratings, achievements, more chess pieces, better graphics, touch interface, and other improvements. It’s more fun! 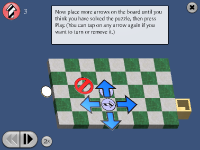 Working on a New Version of Pawns August 6, 2017 The new version of Pawns for iOS will be a 64-bit app, support larger screens, and include new puzzles and other features. 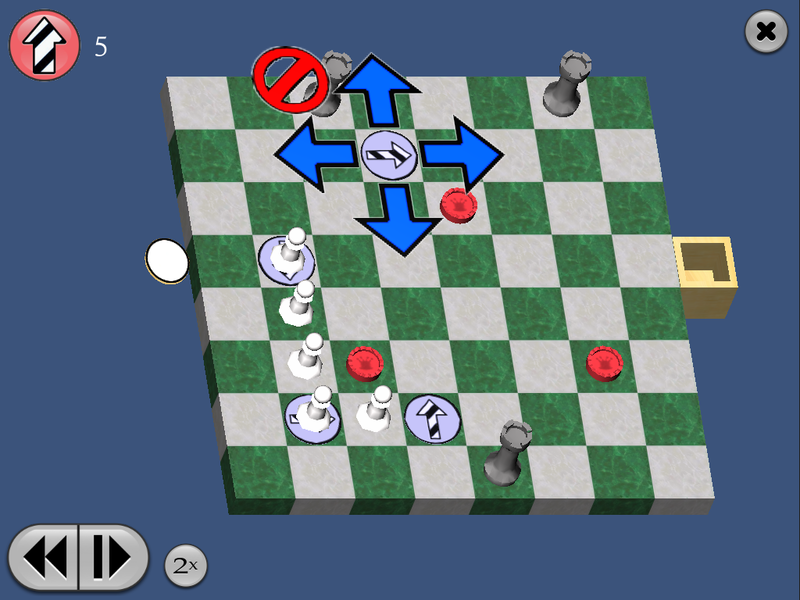 Pawns for iOS out of commission September 20, 2014 Sorry to report that iOS 8 seems to have broken Pawns, at least on my iPad. I decided it would be best to take it down from the iTunes store. I hope to fix it at some point (and add support for larger screens) but I don’t have an ETA. 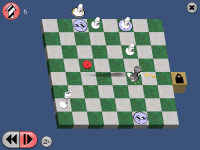 Pawns updated.. a couple months ago August 4, 2012 I forgot to mention here that Pawns was updated back in May. The main change was to remove OpenFeint– I blogged about the reasons for this decision earlier. But I also fixed some graphics glitches that were bothering me. And the keys glow now, making them stand out better on small displays.